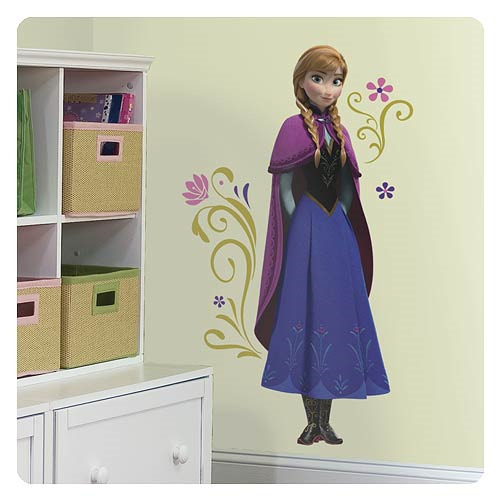 Help Anna find her sister on the trek through the cold with this giant Frozen wall decal. Removable and repositionable, these officially licensed decals are easy to assemble on any smooth surface. Simply peel the first decal from the backing, stick it to your wall or surface of choice, and repeat with the following pieces. A great decorating pick for any Frozen fan! Measures 39 3/4-inches tall x 16-inches wide. Ages 8 and up.